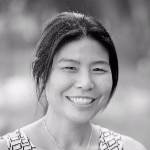 Celina Lee leads the insight2impact (i2i) data facility from a position of deep-seated excitement about all things data – from statistical analysis and measurement frameworks to data mining and GIS. She has dedicated her career to finding ways to collect, analyse and use data for better decision-making and to enhance people’s lives. She joined i2i from the world of independent consulting. Before that, she headed up monitoring and evaluation work at the Alliance for Financial Inclusion, where she led the development of the core set of financial inclusion indicators. She has worked with various actors in the financial inclusion space, including central banks, microfinance associations, international development partners, multilateral institutions and nonprofits. She’s worked and lived in Latin America, Asia and Africa. In addition to financial inclusion, she also has experience in micro and small enterprise development, market system development, climate change, gender and public health. She earned a bachelor’s degree in applied mathematics and a master’s in international affairs in policy and economic analysis, both from Columbia University in New York. Established in 2015 as a resource centre to help find new ways to use data to assist the financial inclusion community, insight2impact recently released its "i2i Measurement Framework Note series." The document introduces a new theory and set of measurement frameworks designed to help stakeholders achieve their good intentions and is underpinned by three key insights.